Real "hometowns" are rich in history, alive with culture and offer a lifestyle that meets the needs of every family member. They offer a strong sense of community and provide places and spaces where neighbors and friends come together. From state-of-the-art medical facilities, award-winning schools, beautiful parks, recreation facilities, and world class shopping to quaint villages, and rolling countryside the counties of Gwinnett, Hall, and Jackson Counties represent some of the best places to live in Georgia. 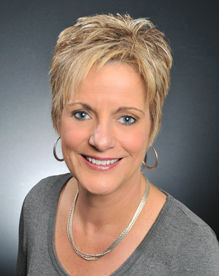 Janice Slaven specializes in great hometowns. Her goal is to provide you with a smorgasbord of information with just a few clicks. Locate homes for sale, search for homes by neighborhood, find and compare school information, review market reports; or read news specific to these great six communities located along the I-85, I-985 corridors: Braselton, Buford, Flowery Branch, Hoschton, Jefferson, and Suwanee.